If you’re considering a nose job, you will have many questions about the procedure and the results that can be achieved. That’s why it’s important to feel confident in your choice of surgeon. Julian Rowe-Jones has over 18 years’ experience as a consultant surgeon in the UK. 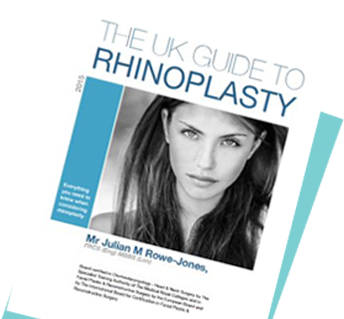 In addition to carrying out primary (first time) rhinoplasty procedures, Julian spends a great deal of time correcting the work of other surgeons who have failed to achieve the results patients want. 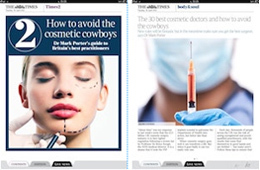 Julian Rowe-Jones has been featured in a number of publications that focus on nose jobs and rhinoplasty surgery. Below are some recent examples of news and media coverage. 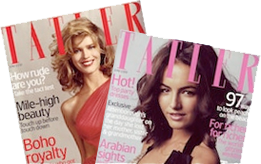 Mr Rowe-Jones is included in ‘Britain’s 250 Best Private Doctors’, as featured in Tatler Magazine. You can read the interview on the Tatler website. 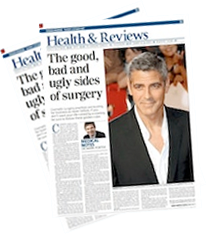 The good, the bad and the ugly side of surgery. How to avoid the cosmetic cowboys. 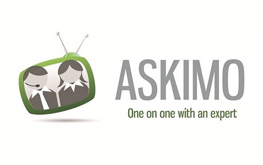 Watch the video interviews featuring Q&A sessions with Julain Rowe-Jones.